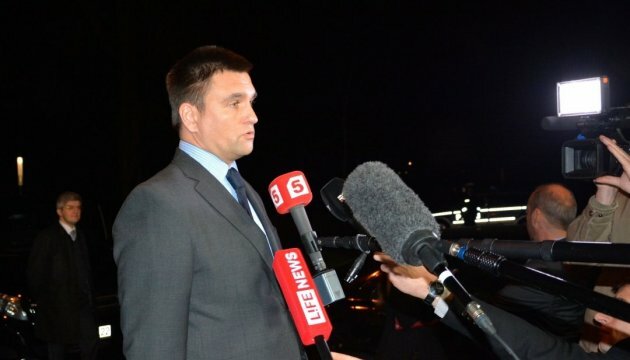 Ukrainian Foreign Minister Pavlo Klimkin will take part in the 11th Brussels Forum that is to be held on March 18-20. The Ukrainian foreign minister will participate in the discussion “Russia, Ukraine and the future of Europe,” which is to take place on Saturday morning, own Ukrinform correspondent in Brussels reports. This year over 30 European and North American politicians will attend the Brussels Forum, in particular, President of the European Council Donald Tusk, President of the European Parliament Martin Martin Schulz, High Representative for Foreign and Security Policy of the European Union Federica Mogherini., NATO General Secretary Jens Stoltenberg, foreign ministers of Lithuania, Poland, other senior officials, Congressional representatives, Parliamentarians, experts and journalists. The purpose of the Brussels Forum is to help shape a new transatlantic agenda that can adapt to changing global realities and new threats.